One of the most important U.S. coins in numismatic history entered circulation over the past several days, and barely anyone noticed – at first, anyway. 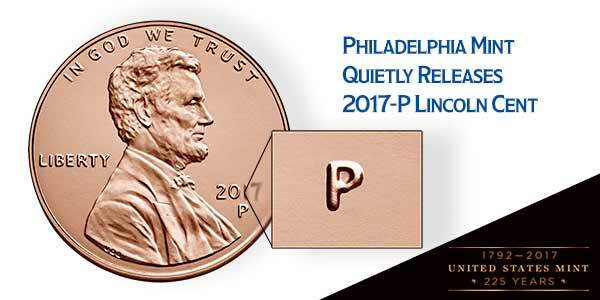 The 2017-P Lincoln cent became the first-ever United States one-cent coin to bear Philadelphia’s “P” mintmark. According to Tom Jurkowsky, director of the United States Mint’s Office of Corporate Communications, the 2017-P Lincoln cent was minted in recognition of the Mint’s 225th anniversary on April 2. The addition of the “P” mintmark was an idea suggested by employees of the Philadelphia Mint. The coin was intentionally released without fanfare to gauge how long it would take before the public questioned the Mint about the authenticity of the novel 2017-P pennies. The mint-marked Philadelphia one-cent coins were shipped to Federal Reserve Banks in early January for distribution into general circulation. The first known individual to publicly inquire about the 2017-P Lincoln cent is Terry Granstaff, a collector who found a 2017-P Lincoln cent during a transaction at a Black Mountain, North Carolina, gas station. 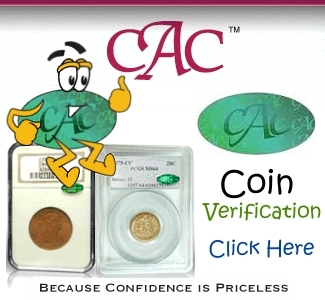 Granstaff posted images of the coin the Professional Coin Grading Service (PCGS) online discussion board, causing a numismatic stir on the PCGS message forum before the authenticity of the coin was finally verified. Still, Crane says the release of the 2017-P Lincoln cent leaves a positive impact on the hobby as a while. The unheralded release of the 2017-P Lincoln cent begs the question: what other surprises might the United States Mint have in store during anniversary year of 2017? The addition of mint marks and other design modifications legally fall under the U.S. Mint’s discretion, pursuant to the authority of the Treasury Secretary to choose coin designs and inscriptions. Perhaps other similarly significant design modifications and enhancements may be in the works throughout the remainder of 2017. 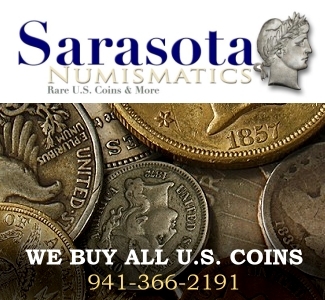 The “P” mintmark has a relatively recent history on United States coinage. It first appeared on the 35% silver 1942 Jefferson five-cent coin and remained there until the wartime composition returned to its traditional 75% copper, 25% nickel alloy in 1945. The “P” mintmark reemerged in 1979 on the first Philadelphia-struck Susan B. Anthony dollars and was included a year later on all circulating Philadelphia Mint nickels, dimes, quarters, half-dollars, and dollar coins. It was always my understanding that the decision to exclude mint marks on Philadelphia cents was one of practicality rather than tradition. The West Point facility had been occasionally pressed into service when demand for cents was high; striking “plain” cents at both locations allowed them to be mixed indistinguishably rather than creating “instant rarities”. But I have to admit, it would have been pretty cool to hunt for W-mint cents in pocket change! And how do you know the Mint won’t put the “W” on cents also!! Who knew the “P” was coming!! 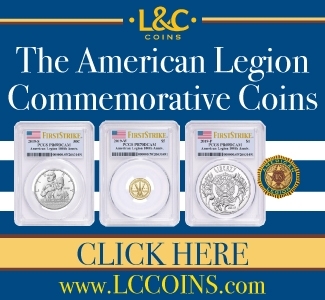 Stay tuned…..
I’d love to see a collectors’ version, along the same line as the special 2009 Lincoln bicentennial cents struck in the original bronze alloy. Unfortunately I doubt there’d ever be any circulation strikes, though. West Point doesn’t make cents every year plus their production capacity is much less than Philly’s. Any identifiable coins would almost certainly be vacuumed out of circulation by speculators. Lets have a solid copper cent for 2017 ! ! ! Since the article wonders what other surprises might be in store…if they would only take the date and mintmark off the edge of the dollar coins and put them back on the obverse or reverse, I’d be happy. Right now I don’t view those as collectible. I just sold 10 rolls of these pennies on ebay for $50. And i did it 4 times. Thats $200 for $20 in pennies. 225 years… great time to stop minting pennies for general use. Just found this 2017 P in my spare change. No place in my book or app. Found one in change and checked on line to get the news of the new cent. I wonder if there will be rare 2017’s circulated missing the mint mark. Or……2018 cents with the P mint mark error? Somebody needs to answer bobs question. I have been wanting my bank to get me some boxes of 2017-P cent and they will not do it. I’m about ready to take my $36,000.00 out of that bank and putting it under my mattress. My bank in jackson ms.,tells me they have no choice in ordering pennies. i finally found one after one year! I live in vegas and i don’t come across a lot of p mint mark coins here. I found a high grade 2017 penny without a mint mark. Did they mint these? Just found seventeen 2017-P high-grade pennies in my daughter’s piggy bank. Wasn’t looking for this specific penny, but being an amateur collector for many years, the “P” on this penny caught my attention since I know that Philadelphia never minted pennies. One search on the internet gave me the good news…it’s not a fake. Into my collection they go.